Gadgets are everywhere these days, but most of us rarely get a chance to try them out. And with each new ‘bigger and better’ model that comes our way it gets harder and harder to justify spending hundreds of dollars on every new cool piece of tech. Thanks to a London-based startup, this won’t be a problem anymore. Wonder lets you rent amazing new stuff and delivers it to your house or office for you to try out. What’s better than playing with tech? Not having to wait in endless lines to try it. And we all know how TNW feels about standing in line. As such we at TNW got really excited and reached out to Alex Berezovskiy, CEO and founder of Wonder, to get to know how this service works. Wonder’s website is pretty straight forward. You just go to the site, look through a list of products and book the dates that you want it for. Then you chose an hourly slot and the product will be delivered in a snazzy flight case. Wonder will than also come pick it up at the end of the rental term. Berezovskiy has always been fascinated by new tech and in the past he worked in product studio where the goal was to never stop learning. The idea behind Wonder was born when it was getting difficult keeping up with new products. At some point it just got expensive. We also realized our friends would often come and ask if we had a spare something. That was the moment it hit us that we could just rent it out. Although the service only launched recently, there’s a bunch of interesting stuff available. I’d love to try out products like Nintendo Switch, DJI Phantom 4 Pro and Playstation VR, which are all relatively cheap to rent. But Wonder isn’t only for the cheapos like me who want to try products out before buying them. It’s also a good platform for owners to let others get in on the fun, and make a few bucks while doing so. It’s pretty much like Airbnb, where owners can share their stuff and we then put it up. We deal with pick up and delivery, and we make sure to insure every rental and keep the products safe. The key idea is to share what you love the most about that product. For example, if you own a PlayStation VR headset, you may have some favourite games or apps you’d like people to try. For us, it’s not just about renting things, it’s about the whole experience. All products rented through Wonder are insured for accidental damages, so if you accidentally spill something on the product that you’ve rented, Wonder will take care of it. Wonder also offers some additional insurance but the basic rule is just to treat the rented product as your own. For Berezovskiy, one of the most important parts of Wonder is the sharing of knowledge and experiences. Wonder wants to make the latest tech advances accessible to as many people as possible. With so much stuff going on, it’s hard to stay up to date, and most of it is just in the media — people don’t have a chance to get their hands on it. We hope this will inspire them to try other things and generally explore what’s going on. 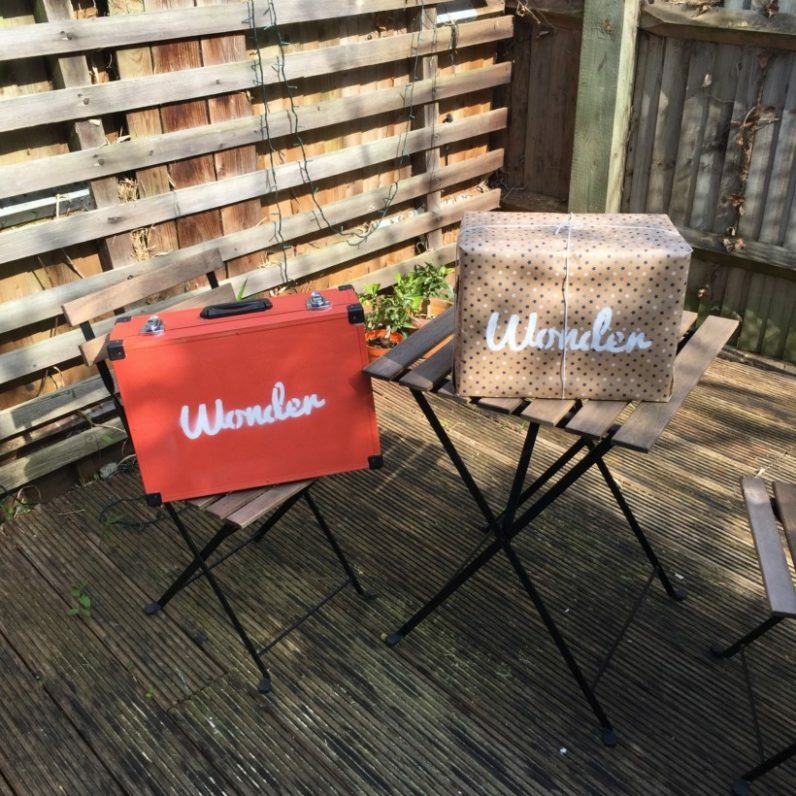 Currently, Wonder only delivers within 25 miles of London but it has already announced that it will launch in Amsterdam and San Francisco this summer. Our readers in London can get in on the fun right away (lucky bastards) by using the code ‘TNWrocks’ on Wonder’s website for a £10 discount and early access. Hopefully Wonder will expand its business so even more people can get their hands on the newest and coolest that the world of tech has to offer.